Any tests are expensive and often painful. 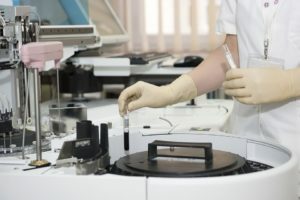 It turns out there are a large number of unnecessary medical research that does not help in the diagnosis of disease. Any tests for herpes 1,2 and 3 types, rubella, measles, parotitis in the presence of manifestations of the disease. These diagnoses are set by the clinical picture. Any tests for herpes 6 and 7 types. Just because treatment recommendations have not yet been developed, and the drugs are in the phase of clinical trials. Repeated determination of IgG to all herpes and toxoplasmas, if a positive result has already been obtained. Antibodies never disappear, and titer fluctuations have no diagnostic value. Detection of Epstein-Barr virus in saliva by polymerase chain reaction. A single detection does not confirm the infection. But, even if the virus is detected many times, it does not affect the tactics of treatment. The study of IgG antibodies to any infections in children under one year. It is impossible to distinguish maternal antibodies from children. The study of feces for dysbiosis. This is equivalent to fortune telling. Any tests before vaccination in healthy children. The vast majority of pathologies in which vaccination is contraindicated are not detected by general clinical tests and have clinical manifestations. Determination of total Ig E to determine the cause of allergies. Donating an immunogram, simply because the child who started going to the kindergarten, began to get sick more often with ARVI (the norm is up to 10-12 times a year). CT / MRI of the brain with suspected meningitis. This diagnosis can only be confirmed by the study of cerebrospinal fluid.